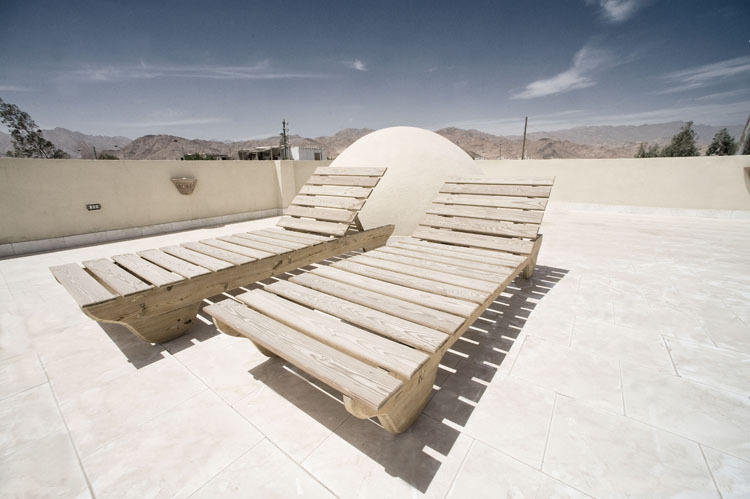 I built Villa Prana as a holiday retreat in 2008, offering a peaceful, welcoming space to travellers, students and friends within the heart of the Bedouin village of Assalah. Welcome to the real Dahab – Bedouin kids playing bare-foot on the streets, goats wandering in search of rubbish to eat, and camels tethered in back gardens. You don't have to go far to experience authentic local food; as just around the corner Hamdi makes his infamous breakfast Tameyah and in the evenings the Basbousa man, with his huge tray on wheels full of Egyptian sticky sweet treats, passes our front door. The villa is a little oasis of calm within the craziness of Bedouin life. It sleeps up to four, with two double bedrooms, one of which is ensuite, and with a huge four-poster bed draped in mosquito nets, making it feel totally romantic. The second bedroom has an incredible arched ceiling, with feature window, making it the perfect canopy for sweet dreams. 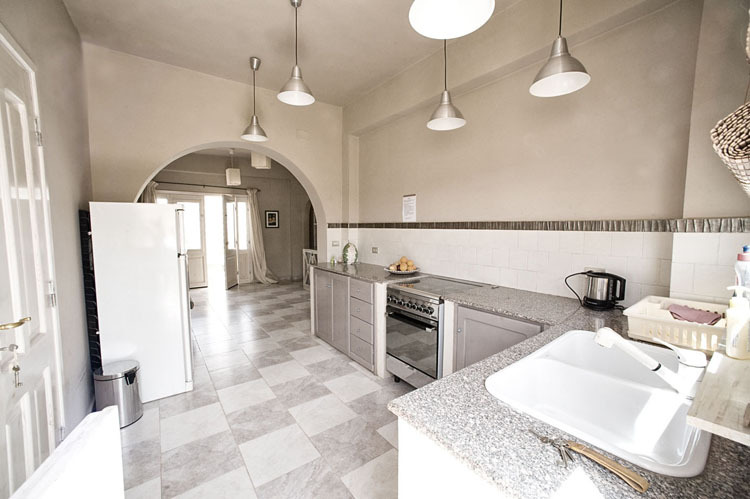 The open plan living space includes a fully equipped kitchen, safe drinking water, and opens out onto the shaded courtyard garden, perfect for lazing the afternoons away with a cup of tea and a great book. The sun terrace offers a private place for sunbathing or sun-downer drinks, overlooking the mountains and the ocean in the distance. Self-catering gives my yogi and freediving guests the option to eat what you want, when you want. I welcome all of my guests with a basket of fresh seasonal fruit, bread, tea, coffee and all the essentials for your stay. Pets can also be provided for cuddles and love – Twinkle-Toes and Poppy are particularly good at guest relations. If you’re allergic, please tell me and I will ensure they respect your personal space. I completely understand that when on holiday, sometimes you want someone to do the shopping, the cooking and the cleaning for you! I offer my guests four hotel options, either on or very close to the beach, Eel Garden, and the best of Dahab's cafes, restaurants and snorkelling spots! Coral Coast Hotel is a stone’s throw away from Eel Garden and boasts its own freshwater pool, and not one, but two yoga and meditation spaces. The rooms are bright, colourful, fresh and modern, most of them with sea views. The hotel has a large restaurant and a comfy arisha for relaxing, dining or having a beer, fresh juice or coffee during the day, as well as it's own beach with hammocks and sun-beds. My twice-weekly yoga classes are held at Coral Coast, so if you want to simply roll out of bed to practice, this is the place to stay. 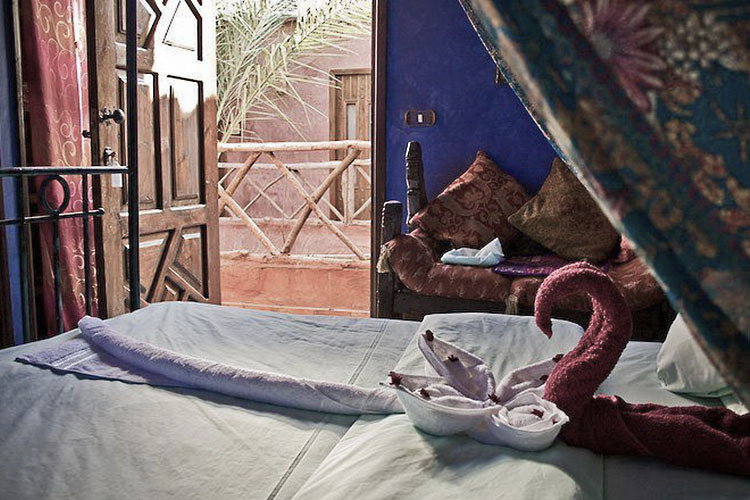 Alf Leila is the original and only boutique hotel in Dahab. The name means, A Thousand Nights, and the classical Arabic interiors do indeed transport you back to a time of Arabian princes, and nights of endless story-telling. The rooms and suites are set around an inner courtyard complete with Bedouin seating corner and pool. The suites also have private balconies, and a lounge area. 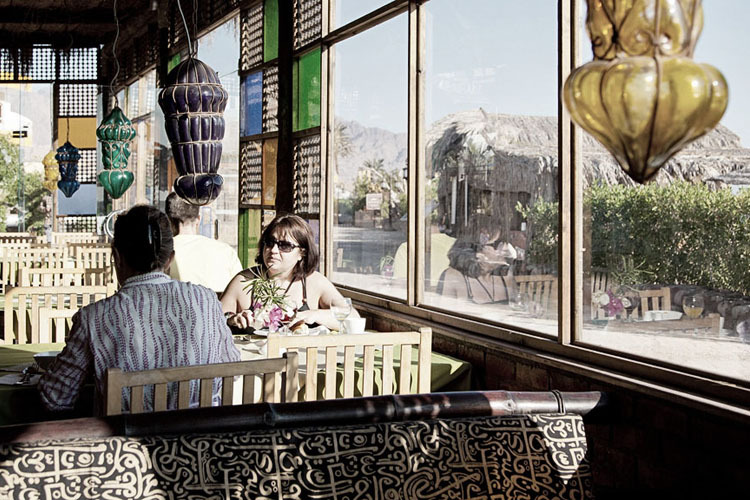 Situated slightly off the beach, you are a 5-minute walk to Dahab's main bay. Our guests enjoy special discounted rates here – well worth spoiling yourself next time you come to Dahab! 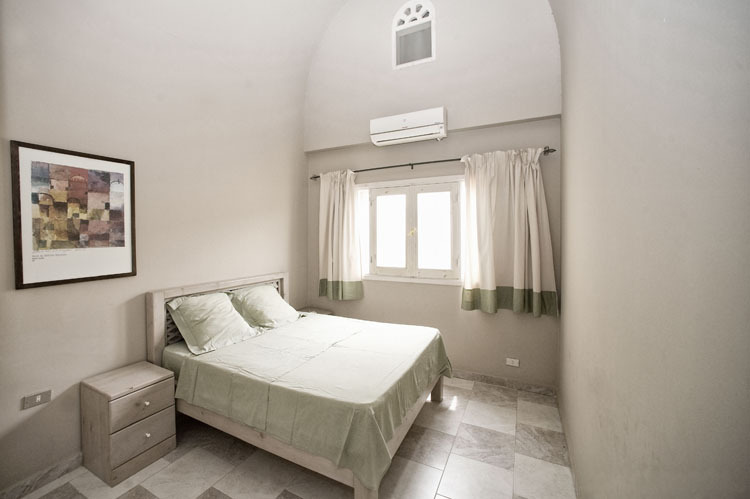 This small family-run hotel is actually most famous for its incredible Italian restaurant, but also has some beautiful rooms directly overlooking the beach at Eel Garden. 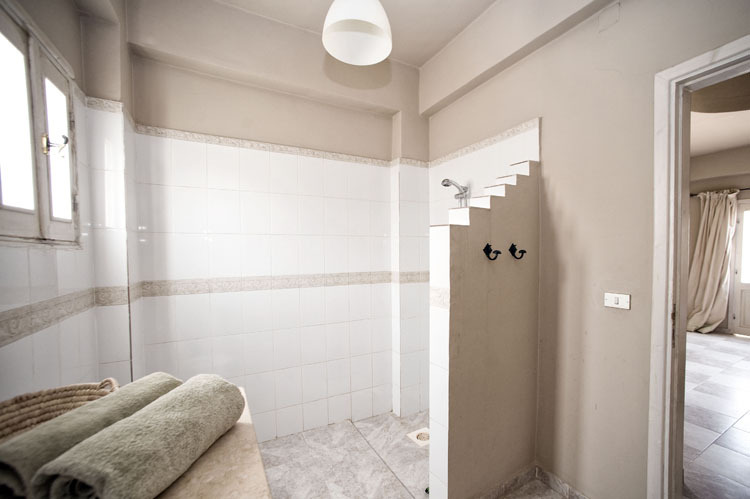 The bungalow-style rooms all have AC, and a few have the option of a shared bathroom for those on a budget. Eat or relax in the shaded restaurant, or on the beach – it is the perfect place to eat, meet friends and recharge your batteries. There is a brand new kite centre and for the yogis, you’ll be pleased to know you are right next door to the Coral Coast Yoga studio. El Primo is a small, cosy hotel directly on the beach at Eel Garden, run by the most welcoming team of Emily and Hany. If location is your thing, then El Primo is your place. Rooms are cute, clean and have unbeatable views of the Red Sea, and over to the golden mountains of Saudi Arabia. Relax in the Mediterranean-feel blue and white beach café as you enjoy a leisurely breakfast and plan your day, or meet friends for coffee to admire the sunset after a day’s snorkelling. It is a 2-minute walk away from my Yoga Studio at Coral Coast Hotel. If your stay includes a desert trip, we will plan the itinerary together to ensure just the right balance of adventure and comfort for you. One of my favourites is a Bedouin ecolodge, a four hour hike into the mountains behind St Catherine’s village, where most of the food is home-grown, and they even make their own honey. Lighting at night is from candles, oil lamps and the open fires, and warm showers are provided courtesy of solar panels powered by our very reliable sun. Alternatively, we might choose to stay in a camp in St Catherine’s itself which gives us excellent access to all of the amazing treks and sites in and around this historic village at the base of Mount Sinai. For the real romantics out there, there is always the thousand star hotel of the desert – there is nothing more peaceful or beautiful than sleeping beneath the velvet canopy of the Sinai sky.